Actor Paulo Avelino has joined the cast of ABS-CBN's new and upcoming television series Bridges of Love. In a statement released on Saturday, the Star Creatives Business Unit of ABS-CBN announced that Avelino will be replacing Xian Lim who will be exiting the project to work on another project involving him and regular screen partner Kim Chiu. Avelino will be joining Jericho Rosales and Maja Salvador in the main cast of Bridges of Love. 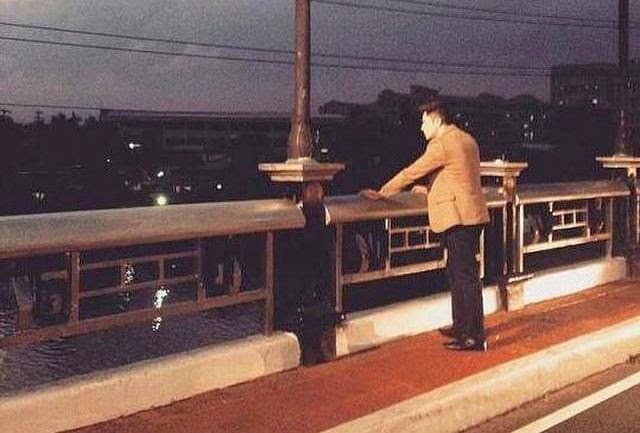 The actor confirmed his involvement in the new series by posting a photo on his official Facebook account wherein he can be seen standing on a bridge and looking down into the dark water below. In the caption for the photo, Avelino wrote, "He's finally back on Primetime as Carlos Antonio together with Maja Salvador and Jericho Rosales in "Bridges" SOON!!!" The actor used the hashtag #1stTapingDay making it known that the project has already started filming. No specific date has been announced yet as to when the series will start airing on ABS-CBN. The Wikipedia page for the series lists Dado C. Lumibao and Joyce E. Bernal as directors. Also in the cast for the series are Carmina Villaroel, Eddie Gutierrez, Edu Manzano, Cherry Pie Picache, John Estrada, Sandy Andolong, Ciara Sotto and Nonie Buencamino.